Justin Moldow talks with Liberty Chronicle Independent about the two year anniversary of Liberty news and occasional-satire-article website, Liberty Hangout. Justin gives us insight on the history of the website and the future. For more information on Liberty Hangout, you can visit their website and follow them on Twitter and Like the page on Facebook. DM: Welcome Justin, thanks for taking a moment to chat with LCI about Liberty Hangout and its two year anniversary. Let's introduce you to the readers a little about your history and how you came about Liberty Hangout? JM: I grew up a right-wing conservative, and was very enamored by the leadership of George W. Bush when I was a child. As someone from the New York Metropolitan area, the tremors of 9/11 are still with me to this day, and I looked to the leadership of our President to help our nation stand strong. For a long time, I was an ardent supporter of the wars in both Iraq and Afghanistan, and was a proponent of the surveillance state. But I was young and naive, and after the re-election of President Obama in 2012, I began my journey into libertarian theory when I started reading books by Judge Andrew Napolitano. When I realized many of my former beliefs were either incorrect or not taken to their rational conclusions, my quench for truth only continued to grow. From there, I read the works of Ron Paul, Adam Kokesh, Murray Rothbard, Ludwig von Mises, Tom Woods, and Stefan Molyneux, and felt so transcended by my journey, that I wanted to share it with the world. DM: What was your biggest inspirations to start LH, which was formerly the Young Jeffersonians? JM: A lot of our recent followers don't know it, but the site was actually founded as YoungJeffersonians.com in February of 2015, before changing to Liberty Hangout in May of that year. I was inspired by our founding fathers to continue to promote their ideals of life, liberty, and the pursuit of happiness. And my only goal when I started the site was for it to be my own personal website to share my political beliefs. If you would have told be back in 2015 that Liberty Hangout would have a following of close to 60,000 and one of the top Alexa ratings of all the competing libertarian websites just two years later, I would have thought you were crazy. I never intended for Liberty Hangout to grow into a brand, but people have enjoyed our unique content so much that it was inevitable. DM: What has helped evolve Liberty Hangout to what it is today? 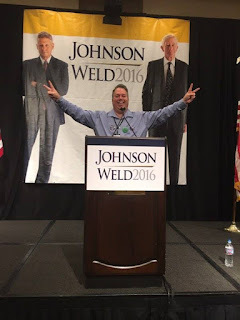 JM: Liberty Hangout really got a name for itself during the 2016 presidential election, when we were the first libertarian outlet to refuse to support the Johnson/Weld ticket. In many ways, we started the #NeverJohnson movement, and will likely always be remembered for this. While a lot of people were initially enraged by our hesitance towards the ticket, over time, it seems we now reflect the majority opinion in libertarian circles, and without our efforts, I think we might still have one too many libertarians running around saying that libertarianism is "fiscally conservative, socially liberal." And over the course of the 2016 election, we saw our following double as a result. DM: What's your favorite aspect of LH currently, and what do you hope to change in the upcoming future, if any changes or additions? JM: My favorite aspect of Liberty Hangout is the strong fellowship we have amongst our staff. James, Chris, and Michael are my best friends, and we all confide in each other on a daily basis. Having a healthy relationship with your team members makes what you do that much more enjoyable. DM: What predictions does the crew at Liberty Hangout have for the future of the Libertarian Party later this year and going into next year? JM: After seeing the debacle that was the Johnson campaign, my expectations for the party are frankly bleak, to say the least. They decided they wanted to market mostly to Bernie Sanders supporters last year, and now that a Republican is back in office, it appears they still have the same intentions. DM: We have seen an influx (at least online through Facebook groups notably) what feels like a "left" or "SJW" major presence increase since the 2016 election. What is your group's ideas and theories as to how and why this has occurred? Do you expect this to be a trend to stay around for a while? JM: I believe this is largely due in part to a misrepresentation of libertarianism. So many advertise the philosophy as something that it's not, which causes moderates and low-tax liberals to believe that they're libertarians. I expect that either the word "libertarian" will lose its meaning, or those who know that libertarianism is a philosophy grounded on the idea of property rights and self-ownership will fight arduously to reclaim it. DM: What would be the Liberty Hangout's ideal candidate to run for the Libertarian Party during the 2020 or 2024 election? Should the Libertarian Party even consider a major 2020 Presidential run given the massive amount of support President Trump is getting from the "right?" JM: Given that the Libertarian Party realistically has no chance of winning a presidential election, they should focus on one thing and one thing only, and that is spreading the libertarian philosophy. They should nominate an effective messenger that knows how to market the philosophy well. If Trump's first term in office turns out to largely be a positive one, it will present the Libertarian Party with a challenge, since there will be a large block of libertarians who will want to help get Trump re-elected. Because of this, I foresee the party moving even further left in 2020 than they were in 2016. DM: We understand here at LCI that this work isn't easy, and it's very costly. What can you tell readers about how to help keep LH going and what can they contribute? JM: Since we are huge proponents of capitalism, if you're willing to contribute to us, we want to give you guys something great in return. If you go to LibertyHangout.org/Store, we got some really cool t-shirts and our famous "Taxation Is Theft" snapback, which are available at great prices. If you purchase some merchandise, encourage your friends to do so as well, and wear it proudly, that would be the biggest help we could ever ask for. And you would also help spread the message of liberty to all corners of the country, since all of our apparel are great conversation starters. 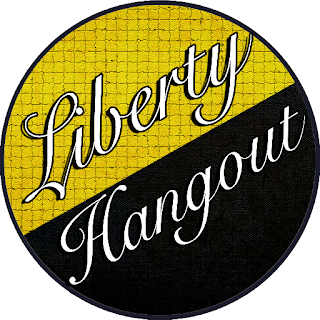 DM: Thanks so much for spending time answering our questions and we hope for 20+ more years of Liberty Hangout. 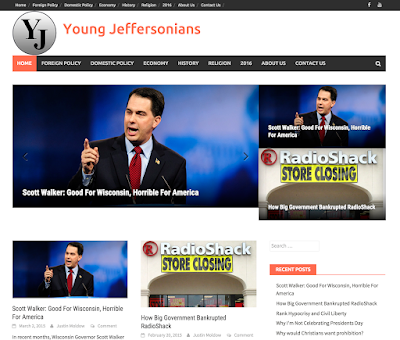 It is now being featured on Liberty Chronicle Independent's news aggregation feeds. In closing, if you could give one message to the entire Libertarian Party for them to hear, personally from you, what would that be? JM: Please take some marketing courses to understand your target demographics. Not everyone is going to be receptive to the message of liberty, in the same way that not everyone is going to want to buy an iPhone. You need to know who is most likely to buy your product if you want to be successful. 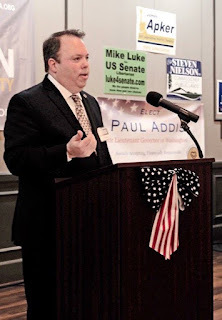 Paul Addis joins the Liberty Chronicle Independent once again after his 2016 run in WA for Lt. Governor. You can see his previous interview with us here. For more information on Paul, you can visit his website and follow him on Twitter and Like his page on Facebook. DM: Welcome back to the LCI Mr. Addis! After your hard work on your 2016 WA Lt. 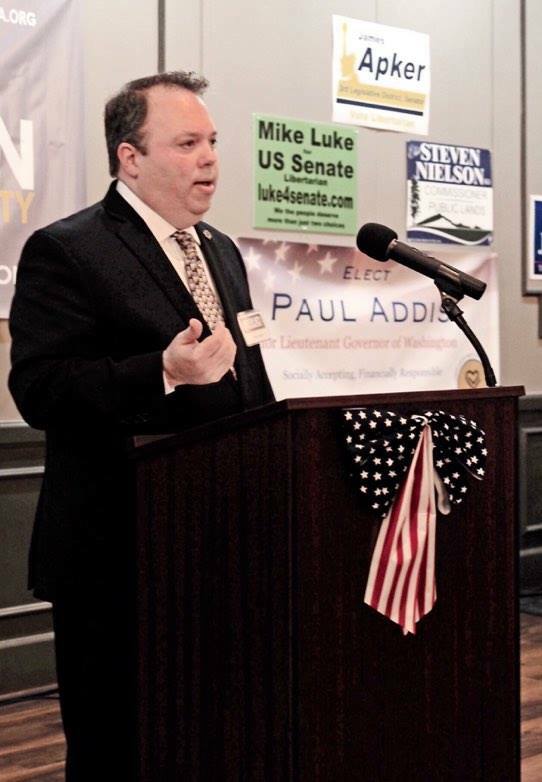 Governor run as a Libertarian, you are back in the fray running for local opening position in Kent, WA. What is the position you are running for and how many opponents do you expect to run against? PA: Thanks for having me back, David. And thanks for all your efforts at Liberty Chronicle, which gives a voice to those who are active in defending individual liberties around the country. In 2017, I am running for a City Council seat in Kent, WA. Based on past races here I would expect no more than one or two other opponents, which will be a nice change from the 11-candidate race I was recently involved in for Lt. Governor. I’m looking forward to running to serve my local community, where I think the majority of the decision making belongs. DM: Going local will help you impact your community directly, right away. What issues do you see in your city that you want to address? PA: Yes, I am very involved in my community already, working with charities & foundations. Being on the City Council is just one more way to serve my neighbors. Generally speaking, I see the role of City Council member as a steward, or watchdog, of the finances of the city. The revenues coming into the city belong to the people of Kent. Therefore it is a great responsibility to make sure the funds are spent on the things that help the people the most. Prioritizing spending, while minimizing the tax burden on the residents is an important balancing act. Kent is growing fast and there are many competing interests looking for an advantage within the myriad of current and future development projects. Making sure Kent has a balanced approach to growth, while addressing the concerns of all stakeholders is an important and complex task. I’m looking forward to that challenge, and my experience as a Project Manager at a Fortune 500 company overseeing multi-million dollar projects will certainly pay dividends in that role. I also believe that the entire process of local governance should be as transparent as possible. Technology can help with both transparency and accountability, and I hope we are able to utilize the best tools for that job in Kent. I have recently been made aware of a couple of incidents in Kent where residents did not get a straight answer on issues related to public works. Both myself and my boss, who also lives in Kent, had difficulty finding resolution to a broken street light and a water shut off valve, respectively, because different agencies passed the buck back and forth without taking responsibility for resolving the issue. It is clear that there is confusion among those being paid to serve our community. That should not happen, and it would be an advantage to deal with these types of issues from within the local government apparatus. I would also like to make sure Kent is a business-friendly town. With the increasing burden on small businesses related to rising labor costs in Washington State, I would like to make sure that Kent uses every option at our disposal to provide financial incentives to make it easier to do business here. DM: Kent residents will be glad to hear about your approach to this position. What other ways do you plan on interacting with the community to make sure their voices are heard and you are able to represent them? PA: Being a resident of Kent and being involved in various activities and organizations around town, I certainly have my ‘ear to the ground’. I’m always listening to the people around me to see what they’re talking about. The other day, as my wife & I were eating lunch, the manager of the restaurant was discussing with us the challenge their chain will face in Seattle when the minimum wage goes up to $15. He was concerned they may have to lay off some of their staff because of the increase in labor costs. When those types of issues come up in Kent, I want to make sure that both the voice of the workers and the business owners are heard before we make decisions on policy. Other than that, I plan to visit organizations and events that represent the multiple interest groups in the community. That would include events and organizations that have an interest in education, parks, transportation, infrastructure, business and public service such as police and fire. In my opinion, being a representative at any level of government is a proactive endeavor. Residents of Kent are busy making this a special place to live, work and play. They don’t need to add any more to their plate by feeling the need to come see me. I should be willing to go where they are to see how they’re faring in this great city we all love. Of course, my door will always be open to those I serve. DM: Excellent news for those in Kent to know you will be there for them and their concerns. What plans do you have for your campaign trail that volunteers or donors would be interested in hearing about? What are your media links for readers to follow you on? PA: Thanks for asking. My website is Addis4Kent.com, my Twitter is @Addis4Kent, my Facebook is facebook.com/Addis4Kent. We’ll be doing some canvassing of neighborhoods in Kent to get the word out during the campaign, and perhaps some phone calling & sign waving as well. Volunteers are welcome and appreciated. Anyone who is interested can contact us through the website. DM: That's excellent news, Mr. Addis. In closing, what final thoughts would you like to leave with readers and potential voters of Kent, for Paul Addis as City Councilman? PA: I’d just like to say that I don’t see this as a competition of good vs bad choices. I’m sure every candidate in this race wants to serve the city of Kent with good intentions. 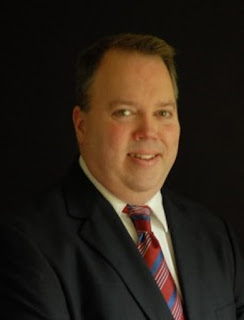 As long as there are average citizens who are willing to step up and volunteer for local positions, Kent will be just fine. I applaud my opponents, and may the best person win. As for me, if elected, I will do my best to serve with integrity, honesty and transparency. I will always lean toward less taxation, more choices, maximum use of technology, less regulation and continuous improvement in processes while utilizing my experience and skills to make that happen. I promise to be a good steward of the revenues generated by the hard working people of Kent. Thanks so much for giving me this opportunity to discuss my campaign. Changing of the Guard - New Editor! It is with great honor that I announce Liberty Chronicle Independent has transferred ownership to David Malekar, who has been the heart and soul of this site since its start. David will assume all duties as editor, and manage LCI from here on out. I will remain in an advisory capacity only, and may occasionally contribute articles. Please join me in congratulating David!!!!!! !